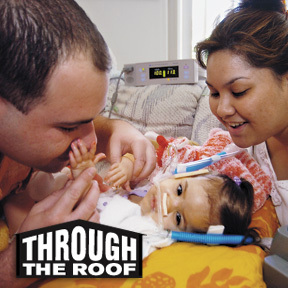 Through the Roof: Jason and Kaui Rezentes play with their 21-month-old daughter, Ava, who has spinal muscular atrophy. Ava cannot move at all except for facial expressions and needs a machine to help her breath. Kaui Rezentes had to quit her job to take care of Ava, forcing the family to look for another home with lower mortgage payments.